Welcome back to my A Few Favourite Things series. 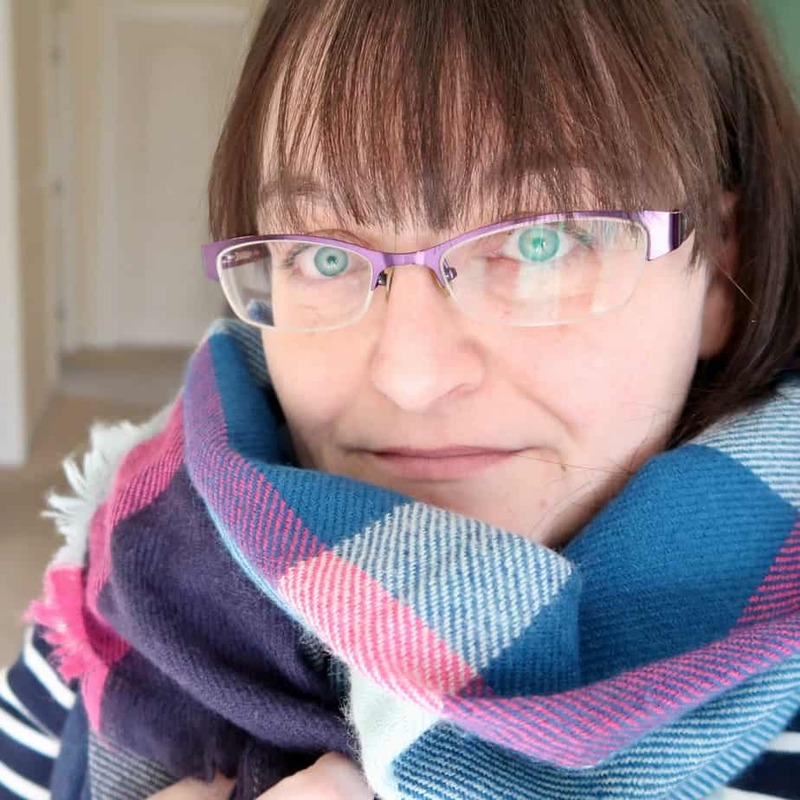 This week I have Ross from Isablog showcasing her favourite things – The first Dad blogger who has taken up my A Few Favourite Things challenge. Do pop over to Ross’s YouTube channel where he shares vlogs on a range of parenting subjects. Well, my name is Ross, I’m a postman and I currently write a blog called Isablog. It’s basically a blog about my daughter called Isabelle, hence the name, which I think you’ll agree is extremely clever (ok, maybe not). I live with my wife, two dachshunds and two house rabbits somewhere in the South Wales valleys. This would probably have to go to the kitchen. It’s a fairly large kitchen and even has a sofa in there so my wife can easily sit and breastfeed Isabelle whilst I spend a lot of time cooking. We try to keep out of the living room as much as possible, I find the more TV I watch the worse my moods can get. I hate the fact that the norm for families these days is to sit around the TV, so instead, we sit in the kitchen cooking and listening to music whilst looking out onto the surrounding hillsides. This way we’re always engaging with Isabelle, trying to talk and play with her as much as we can. We’re even able to bring her playmat and toys in to help keep her stimulated throughout the day. I’ll be honest here and say I don’t really know that much about trends, or what our house would even count as. Call me a typical man (that’s sexist), but I have no idea. I guess it’s modern, mainly as it’s all been redone and is essentially a new home. I’d love to eventually add some things to it to make it a little more cabin-like. Maybe a nice wood burning fire and some old-style wooden doors, but that’ll come in the future when we have a little more disposable income. Although now that we have Isabelle, I dare say that’s hardly going to happen. Honestly, I’m really not that into buying things these days. I used to be. I’ve spent quite a lot of money over the years on buying fancy editions of comic books, comic-related figures and all sorts of other stuff that merely left me feeling unfulfilled. I’ve sold most of that now. And realised that I have something much more important right here in my home. My family. Instead of wasting my money on things, I tend to seek experiences. Whether that comes in the form of going somewhere new with Isabelle or doing something silly like a skydive (got that ticked off the bucket list this year). But, if I had to pick, it would be something as simple as my guitar. I love playing to Isabelle, and when I had bad days during my postnatal depression, I would simply sit there and play with her. I really didn’t want to speak to her, but playing that helped me express myself without talking, and now, she loves it. Every night, after a bath, I play to her as part of her bedtime routine, and she lights up every time I play particular songs. I’m going to steal a line from Peter Mellark in the Hunger Games and go with orange, like the sunset orange. I personally feel that there isn’t a single colour that the sky makes that isn’t amazing. A blue sky in the middle of the day is awesome, a dark sky at night with the stars out is humbling, and that orange tinge as it deepens into a dark pink and purple is one of the best moments of the day. I’ll often find time to sit in the garden around this time and simply look at all the sky that surrounds our house. As we live on the top of a large hill, we have plenty of sky to be able to look at, and I certainly try my best to absorb myself in what I consider one of nature’s greatest triumphs, the sky! As for decorating our home, I would love to have walls in the same shades as the sky, but I feel that would take away from what is actually out there for me to see, and let’s face it, you can’t top what nature does. I absolutely love the winter. Even more so when it’s icy cold and completely clear. Being a postman, this is one of my favourite times of the year, at least after the Christmas period. There’s usually very little rain, there’s a constant frost in the air (so take care of your hands) and you can do an amazing amount of star gazing. Don’t get me wrong, a warm, clear day in the summer is nice, but I really can’t stand the heat. The recent heat wave we had this year left me sleeping with a fan beside me and a wet t-shirt all through the night. Winter, on the other hand, means you get to wrap up warm and enjoy time all snuggled up together, and you can’t really beat that. I love being in the middle of pretty much everything. We’re minutes away from some of the great nature walks that Wales has to offer, including less than an hour’s drive to the Brecon Beacons, whilst also being fairly close to Cardiff for the benefits of a city. On top of that, we’re close to loads of different things we can do with Isabelle. There’s plenty of playgroups, leisure centres for swimming, and even a short drive to the beach. It really is ideally situated. Oh, and I’m a two-minute drive from work, so my commute really is quite good. The shorter the drive, the more time I can spend with the family.